Motor museum | The headquarters of Nissan are located in Yokohama, Japan. Besides the usual offices and factories there's a very special building. 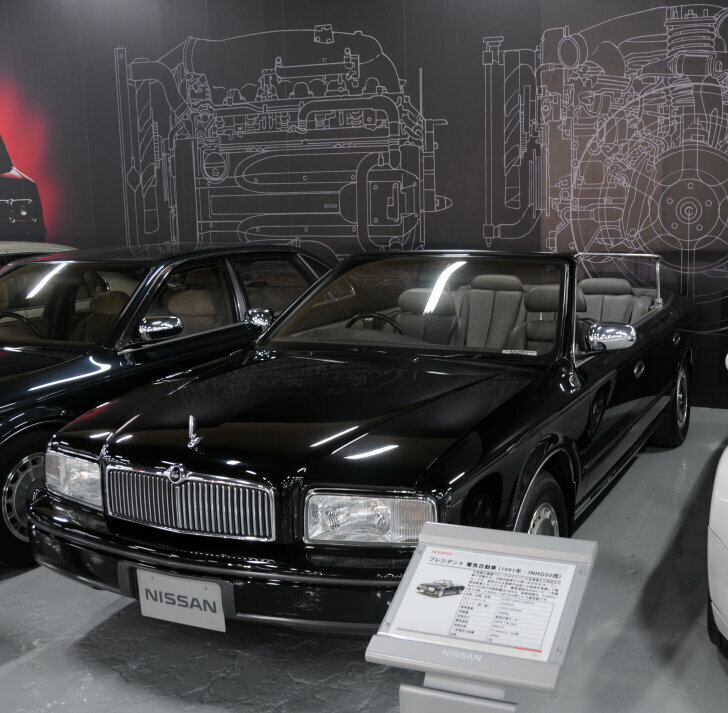 At the "Nissan Heritage Collection" all cars from the history of the brand are cherished. 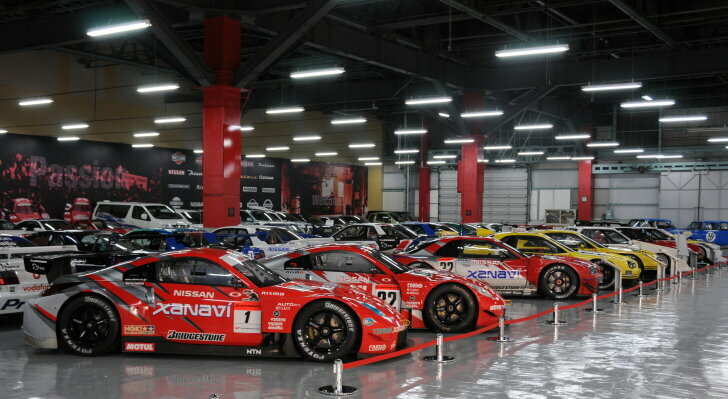 All Nissans, from the first car in 1930 to the latest sports car, are kept here. However, this remarkable garage isn't open to the public. Only after much begging, pleading and numerous requests Autozine was allowed in. 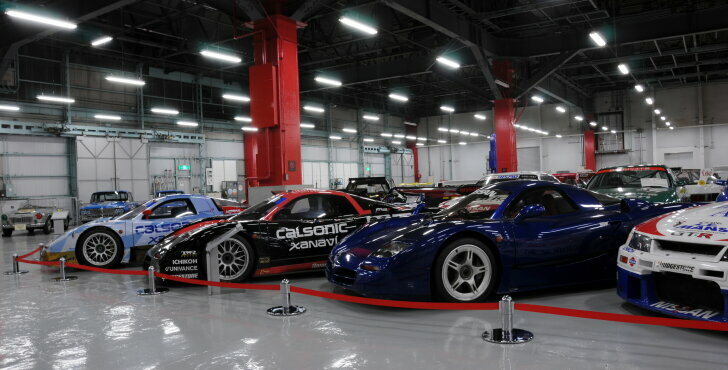 The "Nissan Heritage Collection" isn't open to the general public. Yet, all cars look immaculate, are documented in two languages and are arranged chronologically. And... for a private collection this place is huge! This garage measures over 5,600 square metres and holds over 400 vehicles. Just like many other brands, Nissan is the result of several mergers. Therefore, the first cars that greet the visitor don't have a Nissan badge. The earliest models have a "Jidosha Seizo Co", "Tama" or "Prince" logo on the bonnet. 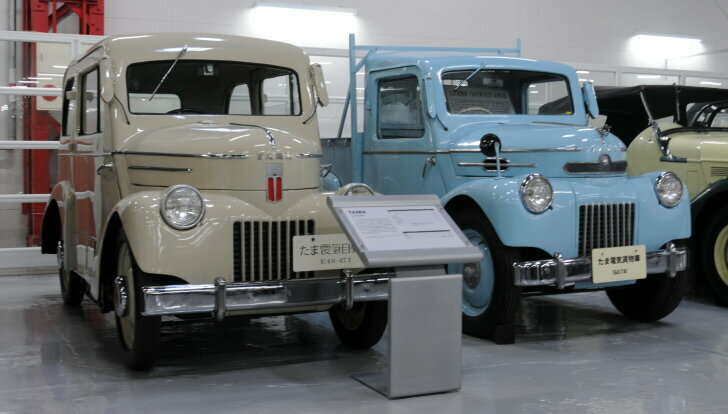 Tama built electric cars as early as 1947. After the second world war fuel was scarce in Japan, so electric vehicles where a logical solution. Prince brought the sports car know-how into the company. Later the name "Datsun" was added, which is still known by many. It seems strange, but the Nissan collection also consists of a number of Austins. In 1959 Nissan acquired a licence to build these cars, mainly to learn how it was done. Most cars in the collection have been donated by their owners after many years of faithful service; a perfect way to give an old car an honourable final resting place. It also means that every car has its own story. For example, the Prince Sedan Deluxe (black car, first in line) was used by emperor Akihito for driving practice. He drove it on his private estate and according to the odometer, he needed no more than 91 kilometres to get his licence. In the 60s the first Bluebirds and Skylines appeared. The first Skyline ("GT-A") was mainly a show car. It is from 1962 and was designed by the Italian Giovanni Michelotti. In those days the price was astronomical, so only 60 examples were sold. Two years later performance prevailed over looks and Nissan / Prince were the first to beat Porsche in motor sports. 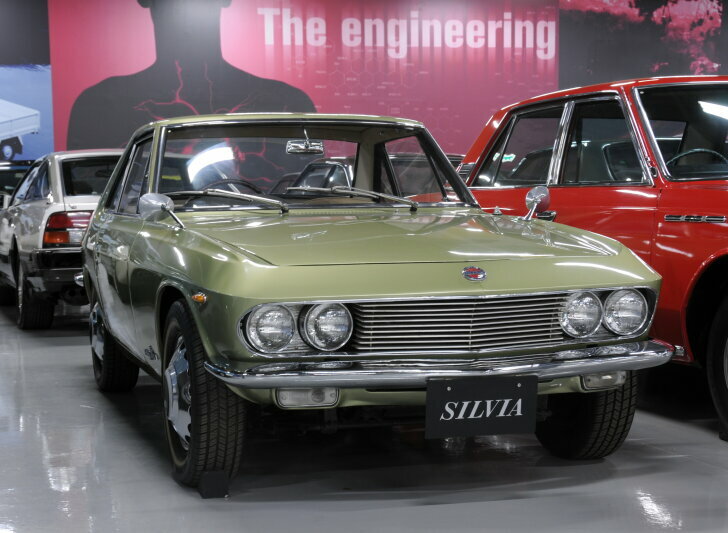 A true design icon is the very first Nissan Silvia. Rumours have it that this beauty wasn't designed by a Japanese engineer. The truth is that a European designer only perfected the finer lines. In the 70s Nissan and Toyota were arch enemies. Nissans were technically superior, yet Toyota did a better job as to marketing and eventually won the race. For example, the "Cherry" was the first front-wheel driven Nissan in 1970. The Skyline arrived at generation GT-E and featured fuel injection to comply with environmental laws. In the 80s Nissan was more active and more successful in motorsports than ever before. At the same time retro-cars where introduced. 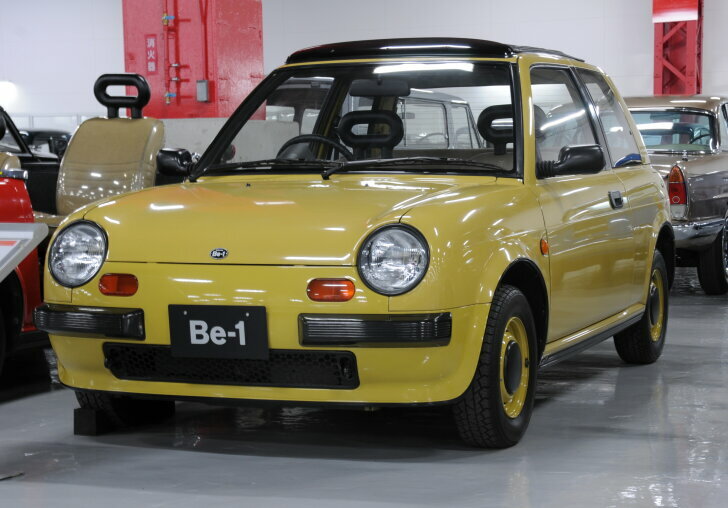 The "Be-1" was so successful that owners had to participate in a lottery just to be eligible to buy one. The successor to the Be-1 was the "Pao". Up to this very day that odd looking model from 1989 is still a popular classic. In 1991 Nissan was asked to build a bespoke car for the president. An existing model was converted into a cabriolet, with raised seats in the back. Since the car was to be used in enclosed spaces (like a stadium) an electric motor was installed. From recent history, it's mostly sports cars at the Heritage Collection. The most beautiful of which is the "R390 GT1" from 1998. To participate in races, a competition vehicle had to be based on an existing model. Instead of converting an existing model into a sports car, Nissan turned one sports car into a road car. Despite the outrageous price, one customer wanted to buy the vehicle, yet Nissan chose to keep the car for the Heritage Collection. After leaving from Europe, spending 11 hours in an airplane and then another two in a car, one eventually arrives at the front gates of the Nissan headquarters. At that point the journey ended there. It was only after lengthy negotiations that Autozine was allowed to take a peek at the Nissan Heritage Collection, and it was certainly worth the long journey! Rumours had it that the Heritage Collection was just "a warehouse with some old Nissans". In fact it is a huge space that holds more cars which are documented more thoroughly and which are kept in better condition than most commercial car museums do. 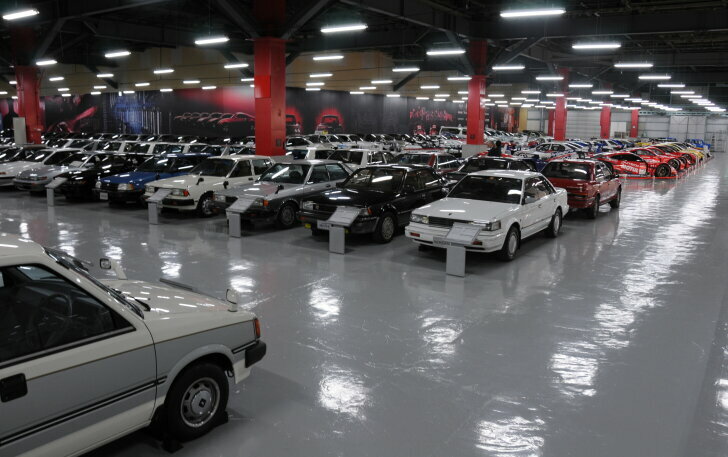 That is why the collection paints a perfect picture of the history of Nissan. From the very start Nissan has been an innovative brand. In addition, motor sports have always been very important. Seeing the history step by step doesn't just give a better understanding of Nissan, it also creates deep admiration.